"Consistently superb results. Compassionately delivered." 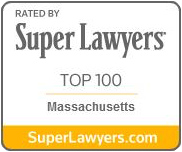 Marc Breakstone has established a reputation as one of the top medical malpractice and personal injury lawyers in Massachusetts and New England. Mr. Breakstone has represented seriously injured clients in medical malpractice and personal injury cases since 1986. He is a founder and principal at Breakstone, White & Gluck since 1992. Mr. Breakstone works tirelessly to ensure that his clients receive full and fair compensation as well as achieve the most favorable medical result. 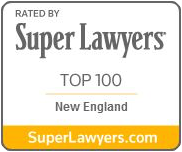 He has been recognized as a Top 100 New England Super Lawyer, a Top 100 Massachusetts Super Lawyer and a Massachusetts Super Lawyer in Plaintiff’s Medical Malpractice. In the courtroom, Mr. Breakstone is known for utilizing cutting edge computer reenactments and interactive digital technology to present his cases to juries. His presentations have helped win significant recoveries in a number of complex medical malpractice, motor vehicle and bus accident cases. Click here to see examples. Mr. Breakstone has consistently maintained an AV rating - the highest rating for legal ability and professional standards - from Martindale-Hubbell, the leading national registry of attorneys. He also holds a top rating from Avvo. Mr. Breakstone has handled numerous high-profile cases which have been the subject of national media coverage. He represented the spinal fusion patient whom Dr. David Arndt victimized in 2002 when he left his surgery at Mount Auburn Hospital in Cambridge to visit a bank. Mount Auburn Hospital neglected to tell the victim until the state revoked Arndt's medical license. In response to public outcry, the hospital adopted a new policy to inform patients if doctors are suspended. His recovery for a brain damaged infant against a national ambulance company led to fundamental regulatory changes with ambulance incident reporting in Massachusetts. Mr. Breakstone is a sought-after speaker to lawyers and law students regarding trial techniques and medical malpractice law. He delivers approximately 8 to 10 lectures a year to lawyers around New England. He also regularly lectures on practice topics at Northeastern University School of Law, Boston University Law School and Suffolk University Law School. He has chaired or spoken on programs including "MCLE Medical Malpractice Update," "Introducing Evidence," "Demonstrative Evidence at Trial," and "Advanced Depositions Workshop." Mr. Breakstone has been a member of the Board of Governors of the Massachusetts Academy of Trial Attorneys for the past 15 years and is actively leading campaigns to reform the jury selection system in Massachusetts. To learn more about Mr. Breakstone, see reviews from his former clients at Avvo.com. "Marc is an exceptional lawyer and an even better man." "Marc Breakstone was a godsend." Scott: "The integrity of this firm…"
Beverly: "I, from my heart, love this man…"
Jesenia: "Marc really got to know us as a family…"
Josh: "He took care of everything…"
Mike: "This was more than just a case to him.."
Gloria: "He just kept me going for 13 years…"